a quilt is nice: winner! Michie who said, "I have been itching to make a hexagon quilt but all of the cutting is pretty daunting. I would love to be able to use the Go!" please contact me Michie (nettiepete at gmail dot com) to claim your prize! wow! super fun design! how did you do that? Congrats to the winner!!! I love your sneak peak! Can't wait to see it all done!! I always try and keep a couple baby quilts on hand. When a friend had a grandbaby (or greatgrand baby on the way) I like to give the Granny a quilt to use at her house, as well as one for the new mom. Oh! I love the way the blocks seem to float! Nice work. I love the tumbler quilt, the colors are beautiful! 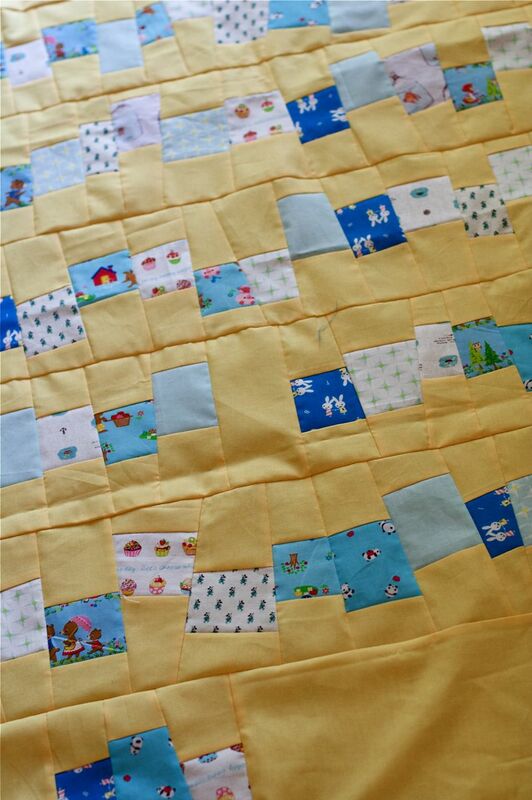 Absolutely love the color choices and adorable pattern here for this baby quilt! Tell us more about how you created it, please! The winner is the quilt you are showing! I love it! How did you make the pieces so diverse? I can see the blue pieces in all different colors and maybe the beige in different beiges and/or whites. 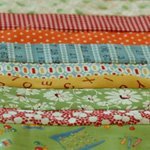 I'm so inspired by the quilts on the blogosphere... now if I could just live long enough to make them all!!!!!!!!!!! OH I love this quilt! Wonderful! A beautiful tumbler quilt and the colors are beautiful. I like your sneak peak, and I can 't wait longer for your finished work, it is such a superb creation.